We will only collect and process your personal data where we have lawful bases. Lawful bases include contract, consent (e.g. where you join an event) and legitimate interests (including assessing and maintaining membership applications and records). When you register for an event that we are running or to make an enquiry we may collect your name, address, email and telephone numbers to allow us to contact you and keep you informed about this event and other activities that the team is involved in. We may also ask for details of existing medical conditions, your age and emergency contact details to ensure your safety in any event you are entering. Contact information will be retained to keep you informed about other team events and activities, whilst other information will be securely destroyed following the event. Where you apply to join the team we will ask you to complete an application, which will gather information about yourself that will be used by the team to assess your suitability. This will include your name, address, email, date of birth, phone numbers, employer and occupation, plus next of kin details together with any medical conditions. In addition, it will ask for information about your availability and personal skills relevant to being a member of our team. We will also ask you to disclose any criminal convictions. We will further require you to authorise the team (normally the team vehicle officer) to check your driving licence entitlements if you accept an invitation to join the team as a probationary member. 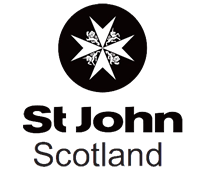 We maintain a Register of Members of our organisation, including probationary members. This information will be used to allow the team to communicate with its members through email lists and by phone. In addition team members contact information (name, phone numbers and email address) will be added to the teams call out lists including SARCALL (the call out and incident management software tool). Probationary team members details will be added to this once the team leadership decide that they are suitably qualified to take part in call outs. If you are appointed to a committee position that results in you becoming a trustee of the SCIO your contact details (name address, phone number) will be held, as required by law, on a Trustee Register. This information will be publicly available as required by the Scottish Charity Regulations. This information may also be used in support of the team activities e.g. through grant or insurance applications. We will receive personal information regarding missing persons and other casualties from Police Scotland where they request our assistance to allow us to plan and carry out searches and recovery of those people. In the course of treatment of casualties’ injuries (either as a result of a Police Scotland instigated call out or through event cover) we may record personal information such as name, address, date of birth, gender, previous medical history, and the nature and cause of injury to aid us in the treatment of the casualty, together with contact details for the next of kin in order to contact them as necessary. This information may be passed on to medical professionals in the Ambulance Service and the NHS to help facilitate on-going treatment. Some of this information may be uploaded to SARCALL for the purposes of incident management and will be available to other Mountain Rescue Teams, Police Scotland, ARCC and other emergency agencies who access this system, and who may be called upon to assist in the incident. We retain contact details for landowners, gamekeepers and other people or organisations to allow us to obtain clearance for use of land for training and to inform them of on-going incidents where we may require access across their land. We maintain contact details for other organisations organising events that the team is involved in providing safety and first cover for, in order that we can make appropriate arrangements with these organisations. The team may take photographs or videos of team related events for the purposes of promoting and marketing the team and also for training purposes. By applying to participate in any team events or activities you are consenting to this use. Where these contain minors we will ask for the specific consent of the parent or guardian prior to use. Event applications, whether submitted electronically or paper based, will be transcribed to secure electronic storage. Any paper copies will be securely destroyed within 30 days of the events completion. Name and contact data will be retained to keep you informed of team events and activities until you request otherwise. Membership Applications will be distributed electronically to team trustees for assessment and to allow the team leadership to contact applicants and discuss their application. They will be securely stored electronically and relevant contact and other information transcribed to a register of members. Membership information will be retained for 7 years following membership cessation, as required by law. Rejected applications will be securely destroyed following communication with the applicant. Anonymised data will be retained to allow us to maintain and monitor membership records for the purposes of quality control of applications. You have the right to ask what information we hold about you, and for any inaccuracies to be corrected. 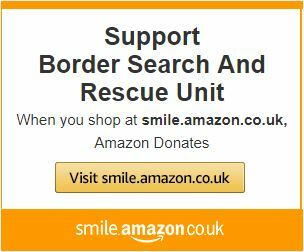 This is done through a formal request to secretary@bordersar.org.uk. Any request will be actioned within 30 days of receipt. You have the right to ask us to remove any information we hold about you by contacting secretary@bordersar.org.uk. We will do this as long as we are still complying with our legal obligations. We may anonymise data where it is still required for reporting purposes. Any request will be actioned within 30 days of receipt. We do not hold any personal information within this website. We may monitor usage of our website to enable us to update and tailor same to the needs of users. We may also keep a record of those links which are most regularly used, thus enabling us to provide the most helpful information to our users. Such information is held anonymously and the provider of same cannot be identified. Certain date may be collected by “cookies” which are temporary internet files placed on your computers hard drive by your web browser. This enables us to collect information such as the time spent on our website and the pages used. This information is held anonymously. The team trustees will review all personal information held by the team annually and will ensure that any information no longer required is securely removed/destroyed.